WOW two trends in one top. How do they do it!? HA! 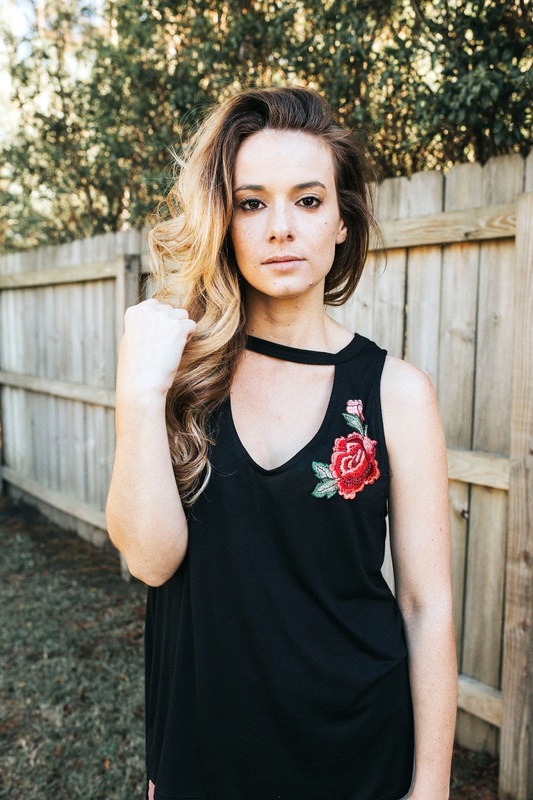 I love this choker top with the rose applique. It's so comfortable! I love being comfortable. 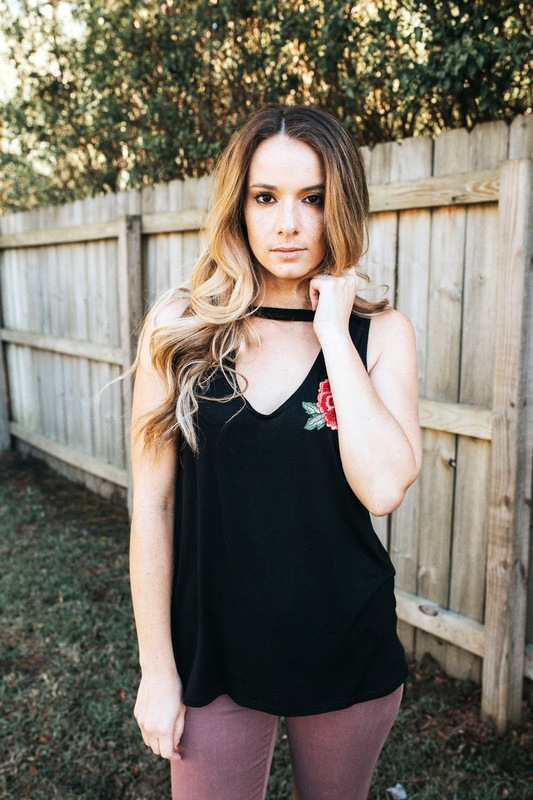 It's perfect for spring with a little bit of edge. A little update on the Model and Talent Expo. I leave in 32 days. I've picked my song, original song, monologue and two-person scene. I'm not going to lie. I'm a bit nervous. Actually, I'm really nervous. I've dealt with stage fright all my life. I feel like Meena in the movie SING. Super shy and nervous and really scared to put myself out there. Doing this instagram project was supposed to help with that. It has helped a little bit. It's still there for sure. What type of things do you to calm your nerves?